Amity Hotel is a lovely, luxury place to stay. 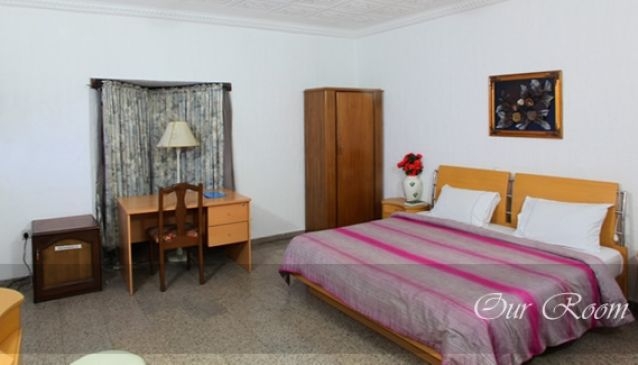 The ambience, warm attention given by the staff, bedroom amenities as well as furnishings will have you looking forward to your next stay in Uyo. The reception welcomes you and the design gives you a glimpse into the elegance of where you will be sleeping. The rooms come up with chair and a table for your reading, the suites have sofas, settees and tables. The restaurant serves dishes both local and international cuisines for your delight and fulfillment. You have to taste the real Uyo food in Uyo and you can get that here. They have banquet halls, a cyber cafe with fax, pohotocopier and other pffice functions so you never have to leave.